The days are getting longer and freckles are starting to pop up on my son's nose at a rapid pace. That means it is time to start thinking about the family time in the summer. This was my son's first year in school and we are really looking forward to a summer free of homework and less stringent bedtimes! In Mt. Sterling there is a place that will help you and your family create memories that will last past the summer. Judy's Drive-in, is the name of the spot I am referring to! Prices are less than general admission for the movies in the theater and the price includes a double feature! Bonus! Adults are $7, children 5-11 are $2 and kids under 5 are free! There is something rather magical about going as a family to the movies and snuggling together in the car while watching the flicks! We would probably take our truck and put lots of blankets and pillows in the bed and lay under the stars to watch! You can put some snacks together picnic style before you leave your house or you could grab a burger, chili cheese fries or a funnel cake at Judy's. Come to think of it just plan on eating at Judy's, you don't want to have to cook before you go, plus you know that your kids are going to want the drive in food once they get there! 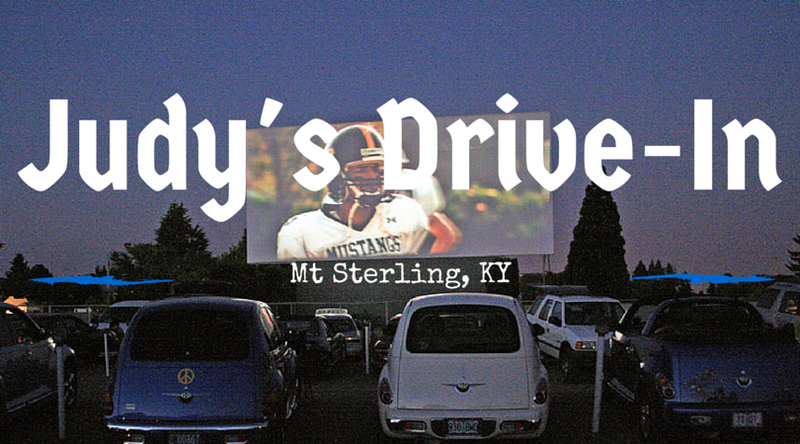 So throw bedtimes to the wind and go hang out with your family in Mount Sterling at Judy's Drive in!